There are many advantages to using a professional carpet cleaning service in Warminster, PA; Langhorne, PA; Bensalem, PA or anyplace in Pennsylvania! While it may seem like a straightforward DIY project, the results you get from a regular carpet cleaning machine and a professional carpet cleaning company are significantly different. OxiGreen is a professional carpet cleaning company with more than 25 years of experience in commercial and residential carpet cleaning. At OxiGreen, we have invested in modern, heavy duty, truck-mounted carpet cleaning equipment that does a far superior job than regular carpet cleaning machines. Our machines blast extremely hot water into your carpets, dislodging the build-up of dirt, pollens, bacteria, mold spores and dust that is deep in your carpet. When we extract 98% of the water, we extract the vast majority of this debris right along with it, debris that your vacuum and regular carpet cleaners never reach. Couple our powerful equipment with our 100% “green” cleaning agents, and you get a safe, effective and fast drying carpet cleaning that’s hard to beat. OxiGreen in Warminster, PA is a locally owned carpet cleaning company that has a lot to offer. We have a great reputation in the community and our number one goal is to provide all of our residential and commercial customers with the type of service that keeps you coming back time after time. We rely heavily on referrals on we want you to be able to tell all your family and friends about the great carpet cleaning you received from OxiGreen! 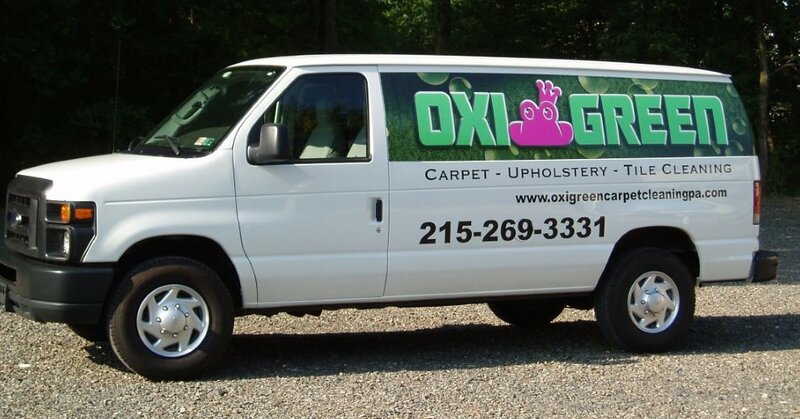 Check out OxiGreen in Warminster, PA online at http://oxigreencarpetcleaningpa.com or give us a jingle at 215-269-3331. We can tell you all about our green cleaning method, our fantastic package deals and the other services we offer, including carpet repairs, carpet stretching and even tile and grout cleaning.